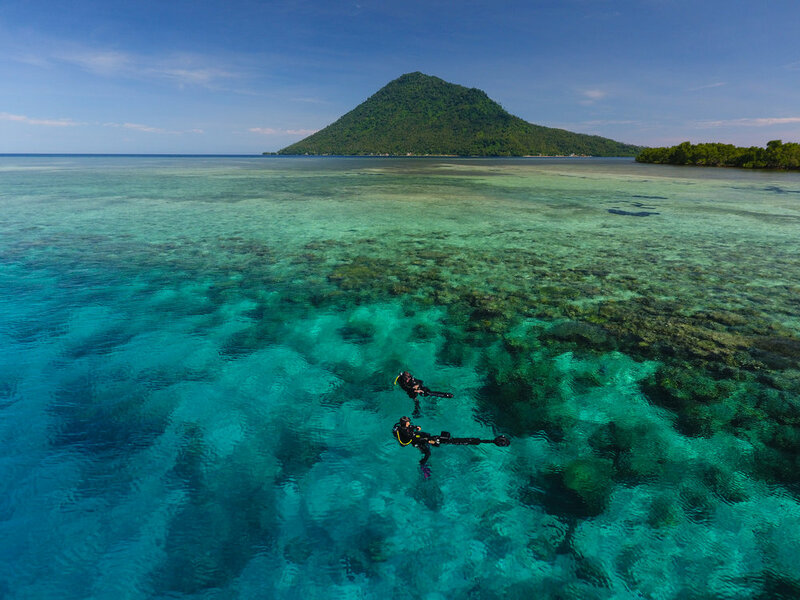 FEATURE STORIES: Support coral reefs by sharing stories and imagery from the front line. Scientists equipped with 360-degree cameras on underwater scooters and advanced AI image recognition are finding coral safe havens. MANADO, Indonesia — Scientists using artificial intelligence and underwater scooters to assess reef health after global warming sparked bleaching that killed a very large number of the planet’s shallow-water corals have found surprisingly healthy reefs off Indonesia. 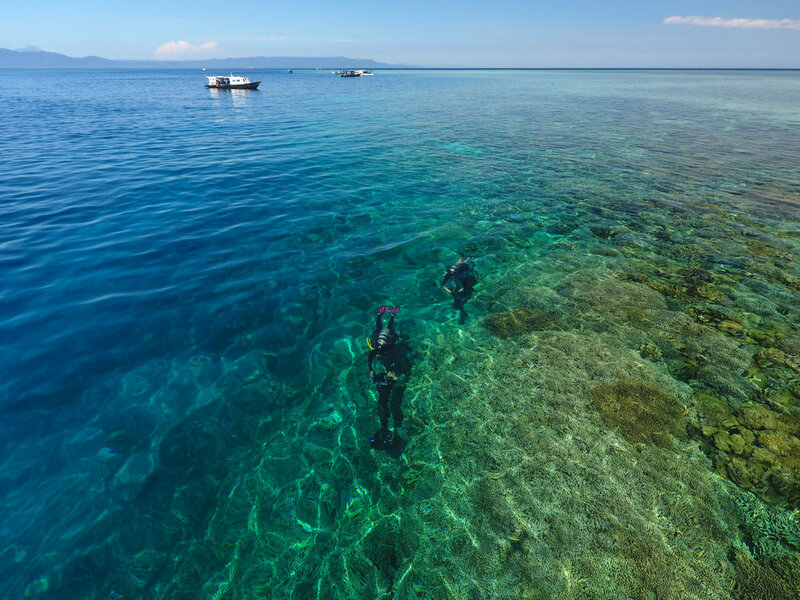 Marine scientists from The University of Queensland in Australia produced and analyzed more than 56,000 images in an area known as the Coral Triangle around the island of Sulawesi during a six-week expedition. Using underwater scooters fitted with 360-degree cameras allowed researchers to photograph up to 2 km/1.5 miles in single dives. Then artificial intelligence analyzed those images much faster than human scientists could. Researchers found that reefs that had experienced little impact had bounced back or were in better shape than when they were originally surveyed in 2014. The findings can help plan how best to target coral restoration programs elsewhere. “After several depressing years as a coral reef scientist, witnessing the worst-ever global coral bleaching event, it is unbelievably encouraging to experience reefs such as these,” said Dr. Emma Kennedy, the British scientist who led the team of researchers from the U.K., U.S., Australia, Indonesia and Trinidad. Coral reefs support roughly a quarter of all ocean life and provide over 500 million people with food and income, contributing about $375 billion annually to the global economy. They are extremely vulnerable to temperature changes because oceans’ upper layers absorb more than 90 percent of the heat generated by carbon emissions, which has devastated reefs. The future of coral reefs depends on finding reefs “that are most likely to survive until global warming is brought under control,” said Professor Ove Hoegh-Guldberg, a University of Queensland, chief scientist of the initiative. Scientists are limited by how long they can physically stay underwater, and photography has already helped by giving them the time to analyze images of reefs back at the lab. Now, AI image recognition is accelerating the painstakingly slow process of identifying and cataloging coral reef data. “The machine learns in a similar way to a human brain, weighing up lots of minute decisions about what it’s looking at until it builds up a picture and is confident about making an identification,” Dr. Kennedy said. Initial observations show that there appears to be little to no deterioration of the corals in the 3,851-square-kilometer (1,487-square-mile) assessment area. University of Queensland advances discovery, develops solutions and advocates responses that meet the challenges presented by climate change, technological innovation and population change. It has partnered with The Ocean Agency on a number of projects including the XL Catlin Seaview Survey which established the world’s first global baseline for coral reef health in 22 countries using semi-autonomous technologies and computer learning. UQ is one of the world’s premier teaching and research institutions. It is consistently ranked in the top 100 in four independent global rankings. With more than 48,000 students and 6,500 staff, UQ’s teaching is informed by research, and spans six faculties and eight research institutes. The Ocean Agency is nonprofit dedicated to supporting ocean science and conservation through creative communication and technology innovation, providing media with stories and imagery to help raise awareness of ocean issues. The Ocean Agency developed the concept and cameras for the XL Catlin Seaview Survey, which has become the most comprehensive visual survey of coral reefs ever conducted, carried out in partnership with the University of Queensland. There’s new hope for coral reefs. scientists are revealing surprisingly healthy reefs. a team is finding reefs less vulnerable to climate change. Reefs that are thriving and full of life. providing food and jobs for millions. The race is on to find and protect them. We’re on expedition to visit the coral reefs of the Coral Triangle. than found almost anywhere else on the planet. We’re using new technology to rapidly collect enormous amounts of photographic information, giving us a scalable snapshot into how these reefs are faring. and we’ve come back now to see how much change has occurred. The team is pleasantly surprised. Many of the reefs here have healthy coral communities. it looks like these reefs have been less exposed to heat stress. Seeing reefs that have survived is very heartening. It gives me great hope about the future of reefs. that can reseed other reefs in the future and protect them. TRANSCRIPT: My name is Dr. Emma Kennedy. I am the field trip leader of the Coral Triangle Resurvey project. 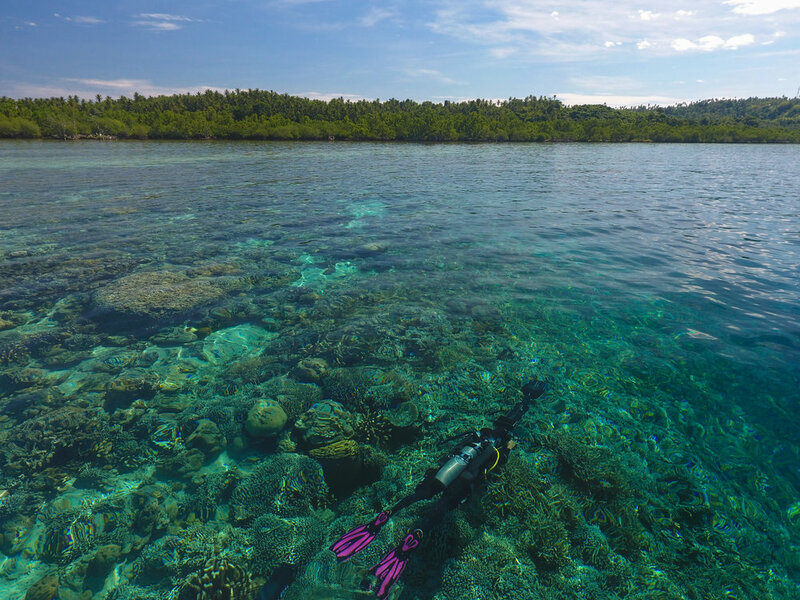 So the mission of our team is to resurvey reefs right around the world, but we’re looking for reefs that are still healthy that might be important for reseeding and repopulating damaged reefs in future. We are using innovative camera scooter setup that allows divers to stay down much longer and survey much larger areas of reef than traditional dive survey techniques. So globally, to date, we have almost 6 million images. What we use is a machine learning algorithm, a little bit like a facial recognition technology that Facebook might use, to identify the coral species in each photograph. Scientist: It is saying that, basically, it thinks that is a branching arborescent acropora. So I’m really with that, and if I was training this machine and I saw that, I would confirm. What’s exciting is that the technology can process hundreds of thousands of images in a short space of time compared to what a marine scientist could achieve. So we’ve recently experienced a mass global bleaching event right around the world that’s damaged reefs all over the planet. And what’s nice about the surveys here is that we’ve been discovering the reefs actually looking very healthy. We’ve often had a lot of chatter on the surface from the divers as they come up, because as coral reef biologists, they get excited to see happy, healthy reefs. Professor Ove Hoegh-Guldberg: It’s nice to go to a good coral reef, what do you reckon, Emma? Emma: It’s very uplifting to see a reef like that. It’s lovely. It makes you feel like it’s something worth fighting for. 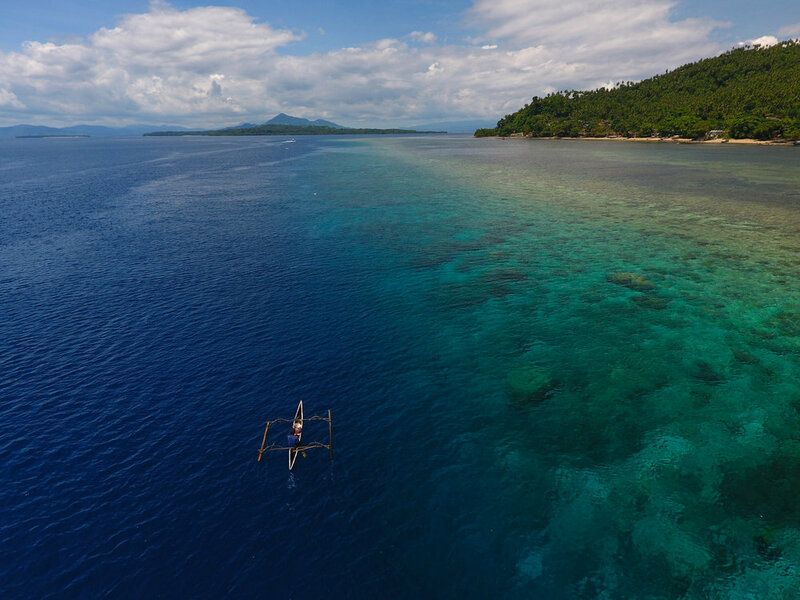 B-roll from the Coral Triangle Resurvey. Click to download FREE to create a custom video. 1. What is it about these reefs in the Coral Triangle that makes them less vulnerable to climate change? It’s all about location! Not all of the planet is exposed to climate change in the same way — some reef areas haven’t experienced as much warming as others, and some are predicted to warm less in future. Our recent study used the very latest satellite data and climate-change predictions to map vulnerability across the planet and identify areas where coral reefs may be less exposed to heat stress and storms. We believe that oceanographic factors in the Coral Triangle have kept the reefs cooler and protected them from the recent bleaching event. 2. What were you predicting the results of the resurvey would show? Have the actual results proved differently than you thought? Satellite data from 2016/2017 indicated that North Sulawesi hadn’t warmed much during the global bleaching event, so we were hopeful the reefs had escaped damage. It was still a nice surprise to see such vibrant corals, and our colleagues in Indonesia were able to confirm that the area didn't bleach. 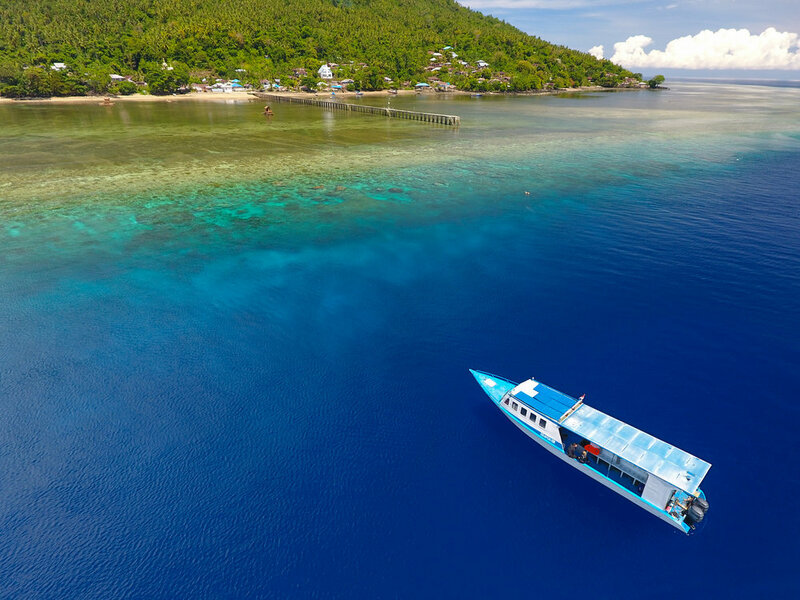 What was shocking was the amount of damage from local sources — particularly plastic trash and destructive fishing that was still going on, even inside the Bunaken National Marine Park. We’re still analyzing the data — it will take us about four weeks to prepare the 56,648 images for the machine to process, and then a day for the machine to extract the data. But it will be interesting to see how the sites have changed between 2014 and 2018. Given that this area might be an important climate refuge, it is imperative that local stressors are removed. 3. When do you predict ocean temperatures will stabilize? Predictions for when the ocean will stop warming depend on the scenario modelled. If we continue to emit greenhouse gases at the current rate, the predictions say that ocean temperatures won’t stabilize anytime soon — in fact, they’ll continue to rise indefinitely, with potentially disastrous consequences! Under the very-best-case scenarios, if we make a concerted effort together to keep warming below 1.5 degrees, experts hope that ocean temperatures might stabilize around 2050. This is because the temperature of the ocean lags behind that of the atmosphere — just like how a kettle takes quite a while to warm up but then stays warm for longer. Even if we reduce CO2 emissions today, we’re still committed to a certain degree of future warming. We know that the upper layers of the ocean have absorbed 93 percent of excess heat from the greenhouse effect. While this is having devastating impacts on marine organisms like corals, by acting as a buffer, the ocean has protected us from the very worst global warming. The average earth temperature would be 36 degrees Celsius hotter if the ocean hadn’t absorbed all this heat, which would make life very uncomfortable! 4. How did you develop the idea to use artificial-intelligence technology on reefs? How has this technology helped the team in its research? Coral-reef scientists have traditionally been limited in the amount of data they can collect — because of restrictions on how long the human body can stay underwater! Photography has helped us expand the reef area we can examine while we’re diving, but going through photos back in the lab is a slow and painstaking process. The use of AI to rapidly analyze photographs of coral has vastly improved the efficiency of what we do — what would take a coral-reef scientist 10 to 15 minutes now takes the machine a few seconds. It means we can start scaling up from studying reefs at the meter scale to looking at patterns of coral communities at the kilometer scale. Getting a bigger picture of what’s going on can improve our capacity to understand and monitor reef health. 5. How does artificial-intelligence image recognition work? How long does the process take, start to finish? What does the finished product look like? We use a type of machine learning called Deep Learning — an AI that is becoming popular in helping detect patterns in large amounts of data (in this case, images of coral reefs). Deep Learning depends on neural networks training: The machine learns in a similar way to a human brain, weighing lots of minute decisions about what it’s looking at until it builds up a picture and is confident about making an identification. Reef organisms grow in all different shapes, so we train deep neural networks to map image patches to key reef categories. We use “supervised learning” to teach the system how to identify corals, groups of algae and other invertebrates; once the deep neural network is able to perform well on its own (usually after we’ve shown it about 400 to 600 photos), the learning stops and it can process images on its own. The output is a spreadsheet that contains the proportion of different reef species detected in each photo. After a field trip like this, it will take around three to four weeks to complete the entire image analysis, however the image classification itself using the trained neural networks is only about 36 hours (per 50,000 images). 1. What do you see as some of the biggest threats to these coral reefs? If I look at the data, bleaching-driven coral-cover decline is likely able to rise, and this is in contrast to destructive fishing method-driven coral-cover decline. Different locations have different causes, and we need to further investigate and interpret the monitoring data. In my opinion, pollution is slowly damaging the reefs, and the reefs will not be able to recover, as the pollution, mainly in from rivers in the big cities, does not falter. 2. How are you planning to get your community involved in protecting these key reefs from other threats, such as overfishing and pollution? The Coral Triangle Resurvey Expedition was funded by Paul G. Allen Philanthropies. Ocean stories straight to your inbox. Be the first to know about the latest expeditions and feature stories during Year of the Reef. We respect your privacy. 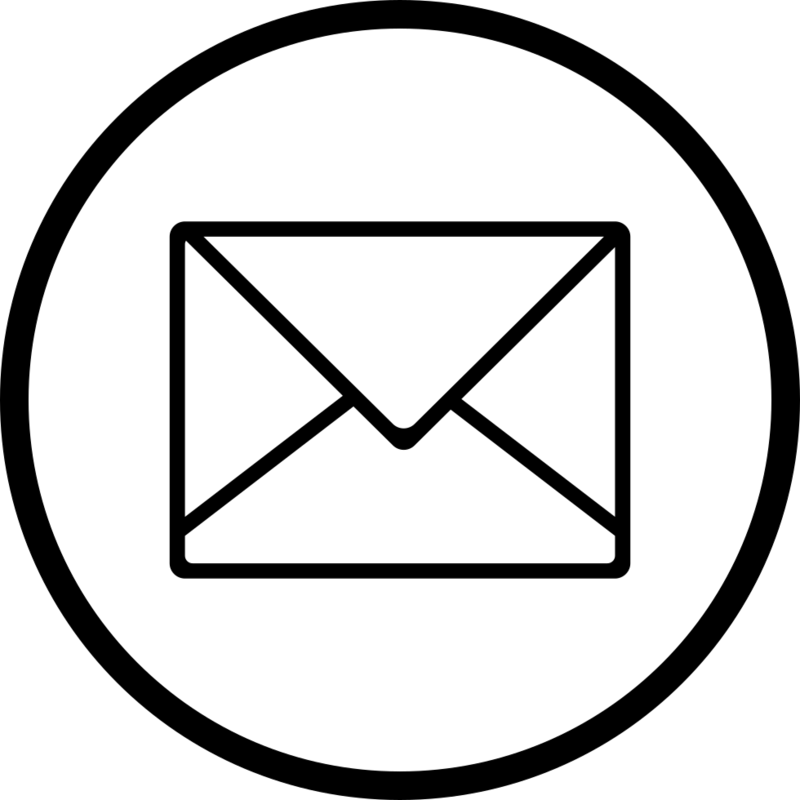 We’ll email you just a few times a year.